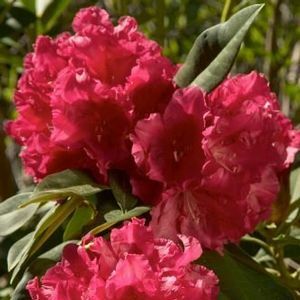 Rose-red, frilly blooms appear in trusses of 12 to 18 flowers. Early season bloomer. 4" long, pointed, dark green leaves on upright, leggy bush. Can be trimmed to show a more compact shape.